ActiveHistory.ca repost – Slavery in Canada? I Never Learned That! 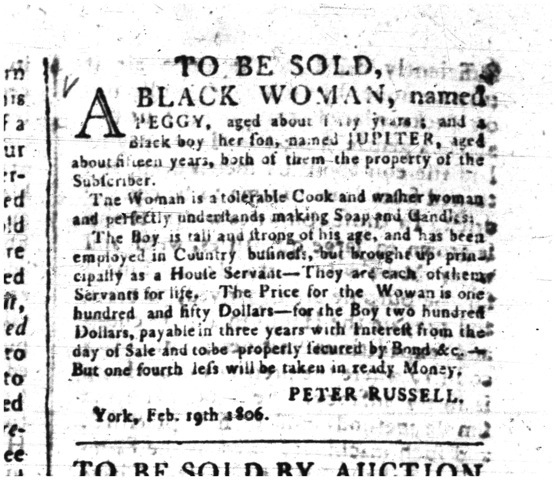 August 22, 2014 August 15, 2014 No Comments on ActiveHistory.ca repost – Slavery in Canada? I Never Learned That! ActiveHistory.ca is on a two-week hiatus, but we’ll be back with new content in early September. During the hiatus, we’re featuring some of our most popular blog posts from this site over the past five years and some of the editors’ favourite posts from the past year. Thanks as always to our writers and readers – see you again in September! The following post was originally featured on October 23, 2013. 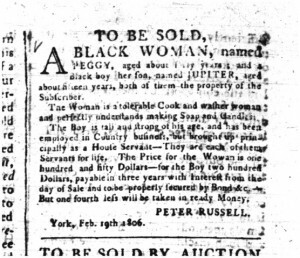 Slavery advertisement from Upper Canada Gazette, 10 February 1806. But what about Canadian slavery?